Zippo Choice Pegasus Black Ice Lighter | BUDK.com - Knives & Swords At The Lowest Prices! 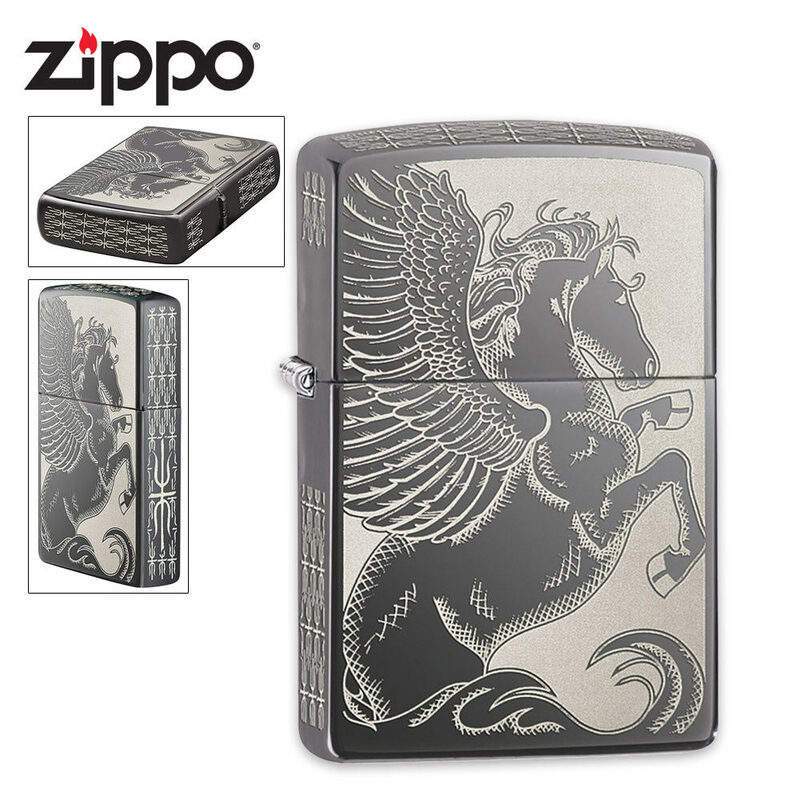 This Pegasus lighter from Zippo is sure to impart wisdom upon you! 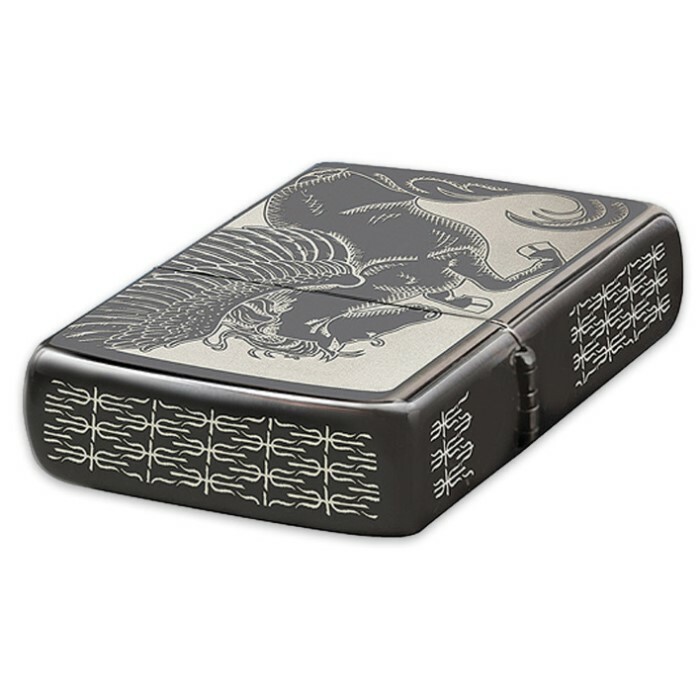 Pegasus has long been a symbol for wisdom and fame and this lighter is stunning with his image laser engraved onto the black ice colored case. 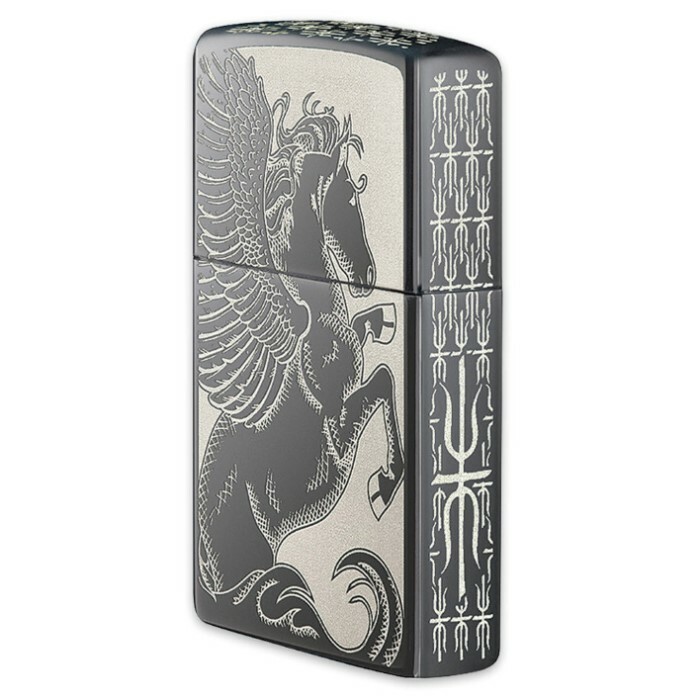 The edges of this lighter feature a decorative pattern to add to the beauty. This lighter provides legendary windproof performance, guaranteed on all Zippo lighters! Made in the U.S.A.